You probably know him as a wrestler, actor, and the man whose Instagram page is filled with beautiful and inspiring content. But who is Dwayne 'The Rock' Johnson as a family man? Dwayne is a father of two beautiful girls. His first daughter, Simone Alexandra, was born in 2001, during his marriage to Dana Garcia. In 2007, the couple, who got married in 1997, split up. Not long after the divorce, Dwayne began dating Lauren Hashian. They had their first child together, Jasmine, in 2015. The couple is currently expecting their second (and Dwayne's third) child. He announced that they were expecting another girl. When it comes to sharing his most heartwarming fatherhood moments, Dwayne is never shy. His daughters often featured on his Instagram page and during a couple of interviews, he opened up about what fatherhood meant to him and how blessed he was. After being honored by PEOPLE as the Sexiest Man Alive in 2016, he revealed, in a video interview, how involved he is as a father. He said he had no problems with changing diapers and caring for his then one-year-old Jasmine. From the interview, you can tell that he and Lauren were a well-oiled machine when it came to parenting, and their cooperation made the whole experience go smoothly and wonderfully. A year prior to the PEOPLE interview, Dwayne also opened up in a deep and touching video for Oprah's Masterclass about the beauty of fatherhood. He described being a dad as the "greatest job he ever had," and he shared one of his best moments with his older daughter, Simone. Big daddy is completely surrounded by beautiful estrogen and loving, powerful female mana. [...] I wouldn’t have it any other way. Our Jasmine Lia would like to make a big announcement - IT’S A GIRL! ???? @laurenhashianofficial and I are boundlessly grateful for this blessing as this spring we’ll welcome our second baby. Plus, Jazzy is excited to boss around and protect her lil’ sis. And once again, big daddy is completely surrounded by beautiful estrogen and loving, powerful female mana. All girls. One dude. And a boy dog. I wouldn’t have it any other way. #ItsAGirl #GratefulMan #TequilaTime ???????????????? 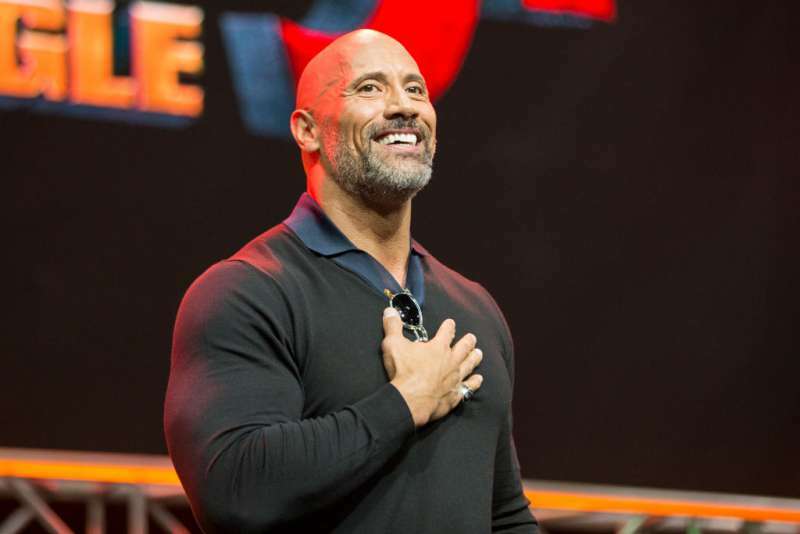 Dwayne 'The Rock' Johnson is killing it when it comes to fatherhood, and he's an inspiration for many parents.